This recipe is high in carbohydrates due to the grains and is a good source of fat from the chia seeds. Add a small serving of protein such as more Greek yogurt or a scrambled/hard-boiled egg white to make it a balanced meal. Mix the oats, buckwheat, chia seeds, chai tea, and water together in a large bowl. Cover with plastic wrap and poke several holes in the top to allow the steam to escape. Microwave on high for 3 minutes. Allow to cool in microwave for 1 minute. Add vanilla, stevia, yogurt, and cinnamon and stir until combined. Add more water to reach desired consistency. 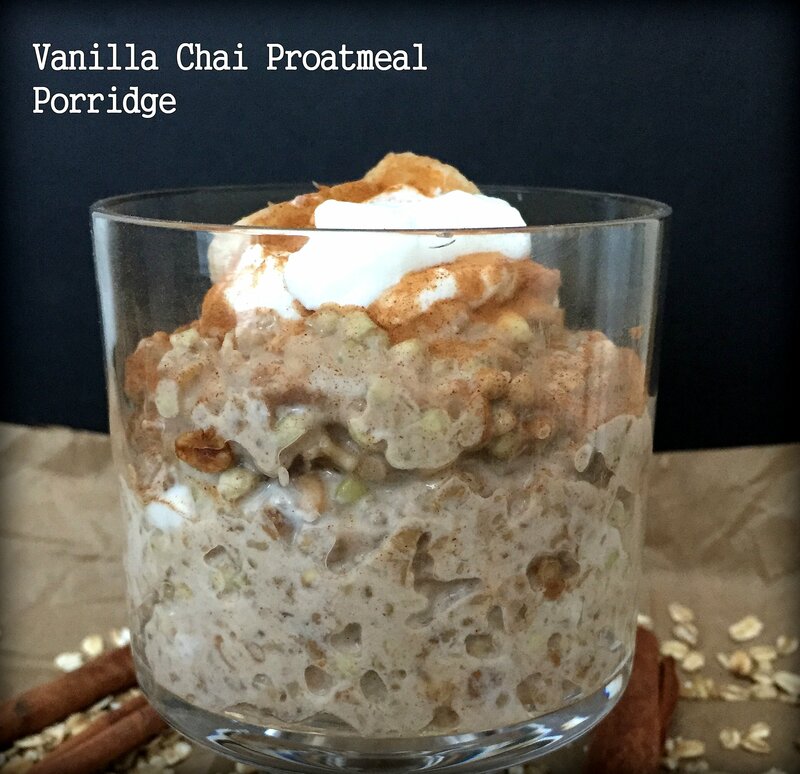 *Note: This porridge is also great as a grab n’ go breakfast in the morning. Simply make it the night before, let it sit overnight in the refrigerator and grab it on your way out the door.